Deputy Speaker Malama then interjected Mr Ndalamei and told him not to mention the name of Barotseland in Parliament. ‘We don’t have Barotseland which one can refer to officially here, ‘Deputy Speaker Malama said. 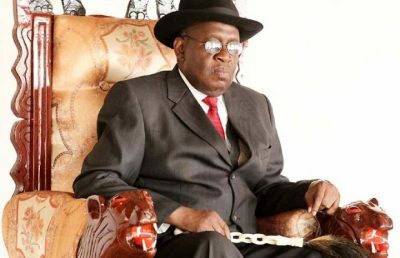 Mr Ndalamei explained that currently there are some chiefs in Barotseland who are not recognised by the Litunga and the Barotse Royal Establishment (BRE) yet are recognised by the Zambian government but the Deputy Speaker again interjected him arguing that government was not involved. Ndalamei stressed that for the first time there was fighting in Limulunga and if government was taking the situation lightly they will soon realise. He reminded the house that in 2011 the PF promised to restore the Barotseland Agreement of 1964 and again in 2016 the PF promised the BRE that if they campaigned for the PF in Western province the government would engage in dialogue on the Barotseland Agreement but now the government is arresting people who remind them of their promise adding that people have been arrested and killed. The Deputy Speaker interjected Ndalamei again claiming that no one has been arrested or killed but Ndalamei responded angrily and produced a document with names of people arrested and killed in Western Province over the Barotseland matter. ‘I can lay it on the table here, this document was prepared by the Barotse National Freedom Alliance, Linyungandambo and Barotse Freedom Movement, I can lay it on the table you go through,’ Mr Ndalamei said as he laid the document on the table. Dr Kalila went on to quote from a statement that was recently issued by the Acting Ngambela of Barotseland in which it was stated that the general feeling of the people in the region was that Barotseland had been sidelined by the Zambian government and developmental projects are deliberately stalled.